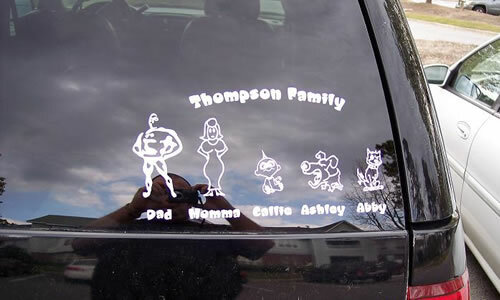 Here is how that Family Sticker will look on your glass or tinted vehicle window. 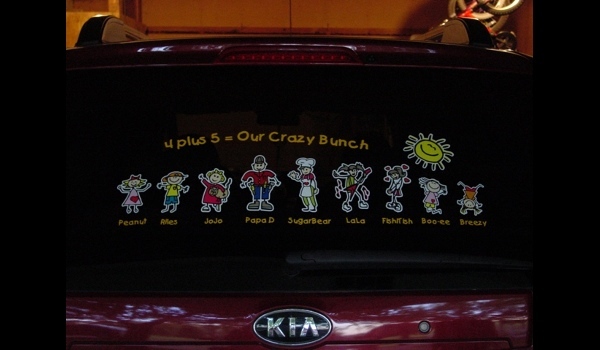 Family Sticker Examples, Stick Figure Decals on a Minivan. 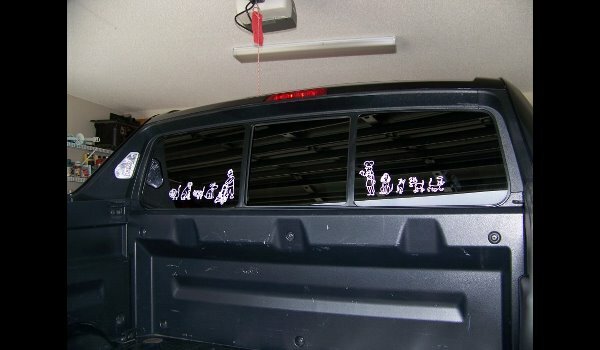 Family Decal Creation is Easy. 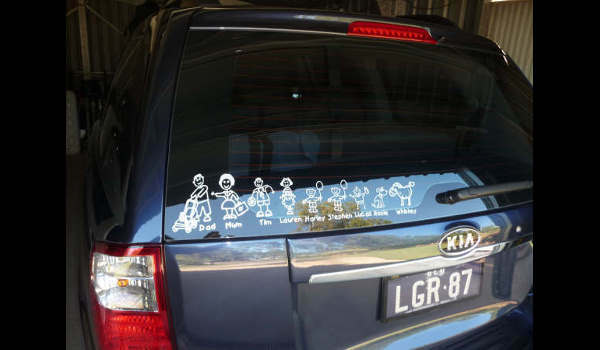 Create Your Family Car Stickers Here. For most information please see the main product page. 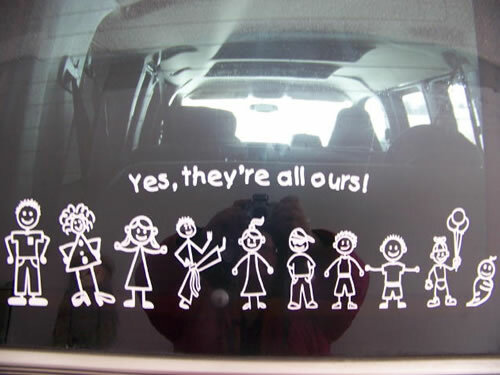 Aprox size for the family stickers is usually around 7 inches tall (including the names and header) Length varies depending on how many members you decide to add to the sticker. The Largest member usually is about 4 to 4.5 inches tall and going down in size from there. We can adjust this size, just let us know. 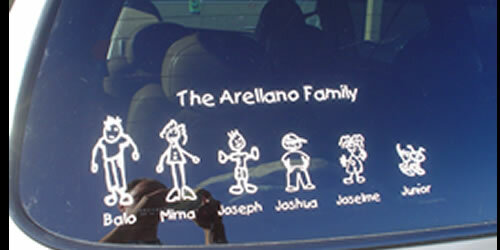 Here's an example: For 8 members the length of the whole family decal usually comes to around 18-24 inches. This sizing can be changed slightly upon request. 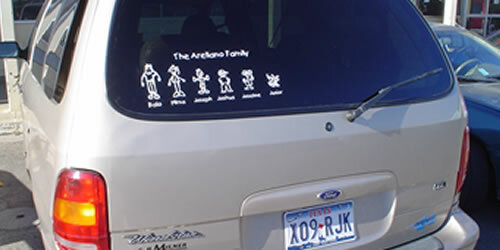 For the Full Color Family Stickers, you choose size when you design your sticker. 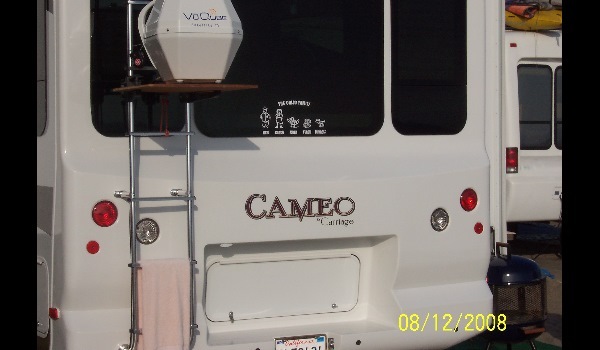 Size for the members range from 3.5 to 6 inches for the largest member. 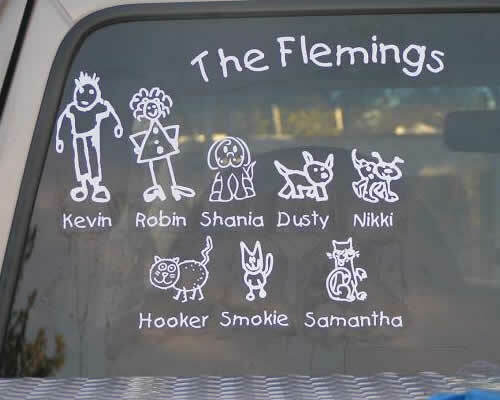 "I'm so happy with the family decal I bought from you. Our family is very close and It helps express our family pride!" 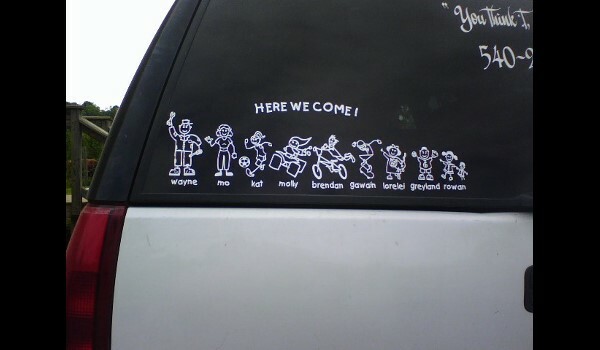 Ready to create your family decal? Let's GO! 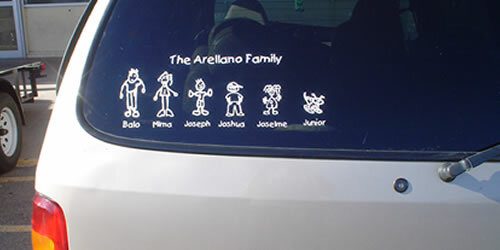 Ready to create a full color family sticker? Let's GO!